Mr & Mrs Barrett have spent a long time and lots of effort restoring their lovely period home on the edge of Melton. 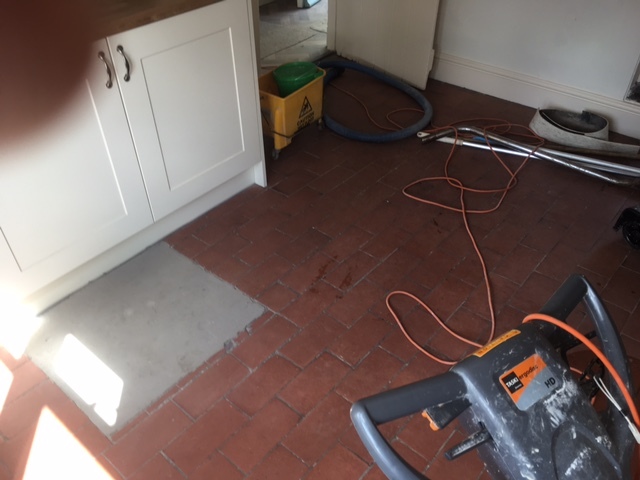 I have previously done some other restoration work to the exterior of the building and suggested that when the house was complete I could undertake the stone floor cleaning. This is the original flooring in the house. the house itself has an interesting history in that it is a former pub but has been in the family for over 100 years. The floor was in surprisingly good condition but has years on ingrained dirt in it. The grey concrete square covers what was a well. 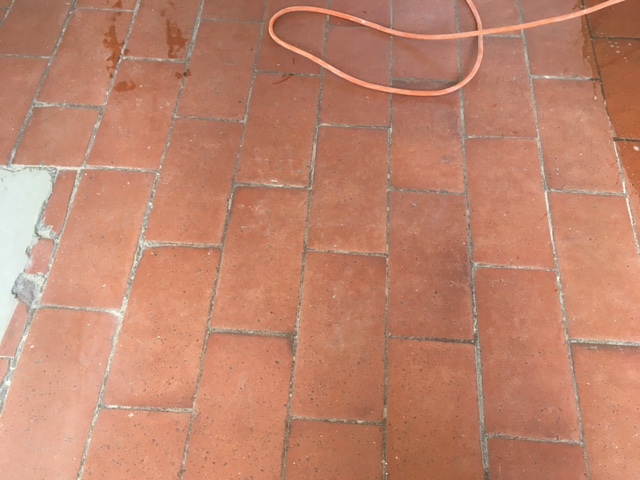 The customer wanted the floor to be easy to maintain. 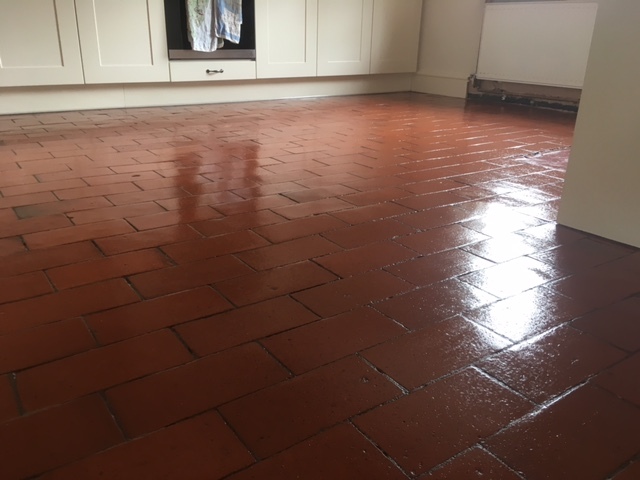 I discussed the various options and they decided on a topical seal which provides a seal on top of the floor and in this case is ideal as it fills up some of the pores in the bricks which previously have held onto the dirt. 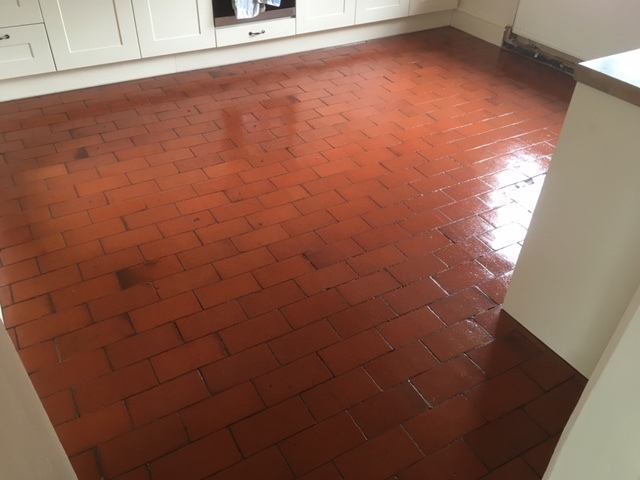 The floor was then deep cleaned with a suitable chemical and then a honing powder was used to ensure an even finish to the floor. Once rinsed and the chemical neutralised the floor was allowed to thoroughly dry for a few days. I then returned to the house and sealed the floor. 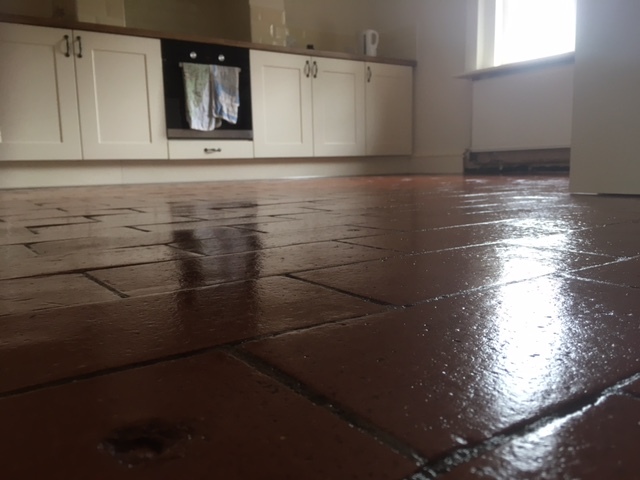 As you can see from the pictures the seal also enhances the colour of the floor and gives it a shine.